Is living at Assisted Living truly like living at home? Can a resident continue to live in Assisted Living when they need additional services and care? What are the differences between the levels of long term care? No, we like to think that it is better. As we see from retirement, some of us lose a sense of purpose. We retreat to our home as a sanctuary, thus finding it often evolves into a prison over time. Without social contact, boredom often sets in and we tend to lose our self-worth. As humans, we thrive best when we are in a stimulating environment. As active, healthy adults we are most often occupied with jobs, community and raising families. When our daily living needs change, we don’t have as many opportunities in this type of environment. Our homes and possessions are comforting because we feel as if nothing is changing in our lives. Yet change is good and moving into an assisted living community allows us to move our possessions and wonderful memories with us. Living in an assisted living community allows us the opportunity to enhance our years by gaining new friends, activities and challenges to keep both mind and body keen. Yes, Hickory Senior Living has several locations with assisted living alternatives designed for our residents who aren’t quite ready for a skilled nursing facility. These communities offer a caring staff that attends to personal and health needs, from help with activities of daily living to medication management. Providing a smaller community setting with activities and meals is considered necessary during this stage of you or your loved ones care… these secure communities are an answer for lengthening the assisted living stay while providing you peace of mind. Yes, we have a Licensed Nurse on call 24 hours a day, with services such as medication management and personal care assistance. We also have in-house physical and occupational therapy as well as mental health services available. Long-term Care ranges from having someone to help around your house to 24-hour care in a skilled nursing facility. Understanding what to expect from each level will assist you in selecting the kind of long term care that is best for you. Home Care usually includes nurses coming to your home if you are unable to go out for medical care. Home health aides or personal care service workers can also visit daily or as needed to help you bathe, dress, clean house, prepare meals and shop. Adult Care offers social interaction and meals up to five days a week, based on the program. Some programs provide transportation to and from the center. Activities vary, but usually include exercise, games, art and music. Some have minimal medical services to include help with taking medication and checking blood pressure. Independent Living usually is apartment-style living that has been modified to include railings on the bathrooms and power outlets placed higher on the walls. This level of long term care may include meals, transportation, activities and housekeeping. 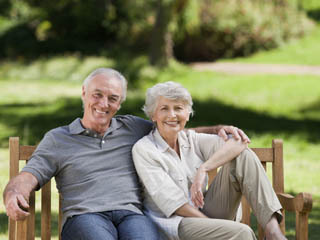 Assisted Living allows you to remain as independent as possible. Assisted living staff is available to help residents take their medication on schedule, assist with bathing, dressing, provide housekeeping and laundry assistance. Along with in-house and outside activities, assisted living facilities may have on-site beauty/barber/shops and health services, such as a medical clinic or rehabilitation facility. Memory/Special Care is secure communities designed for residents who do not require skilled nursing care but do require extra attention with activities of daily living due to Dementia and other memory loss conditions. These advanced services afford most residents the ability to stay in an assisted living environment and avoid a skilled care nursing home for a longer period of time.